Hosts Kenya has won the 2017 Cecafa Challenge Cup after a 2-2 draw before beating Zanzibar 3-2 on penalties. The Harambee Stars goalkeeper Patrick Matasi was Kenya’s hero, saving three penalties in the deciding shoot-out. The triumph gave Kenya’s new Belgian coach Paul Put a winning start to his reign, having only taken charge of the team last month. 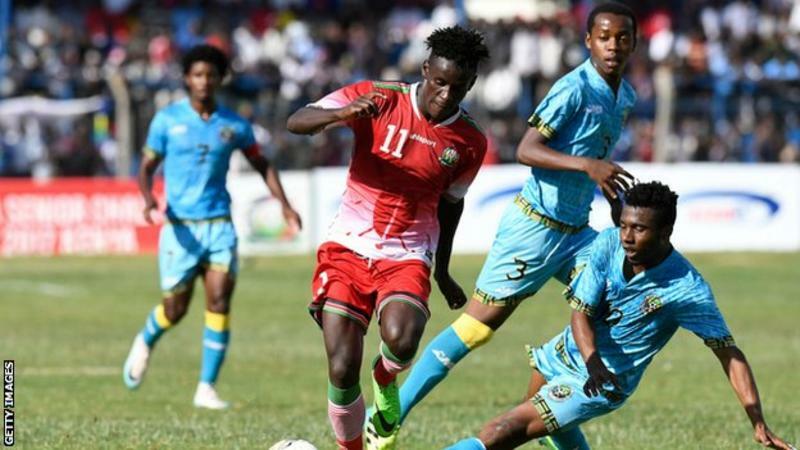 In an eventful match, Ovella Ochieng put Kenya ahead after just five minutes, and it stayed 1-0 to the hosts until the 89th minute when Zanzibar’s Kassim Khamis stunned the home side with an equaliser to take the final into extra time. Zanzibar, who knocked out the holders Uganda in the semi-finals, again went behind when Masud Juma put Kenya 2-1 up after 98 minutes. Zanzibar fought back for a second time, with Kassim Khamis scoring his second goal just two minutes later to make it 2-2 at the end of extra time. Uganda took third place after a 2-1 win over Burundi.